“The Best” is a Relative Term so The best smartphone is also always relative. What i think is best may be worst for you so here i am going to share my list of top android phones in India with MRP less than Ten Thousand. Here i consider only 2 things Price and Performance (Value for money). 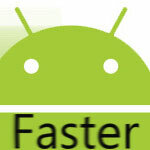 When i am writing this article the latest Android version is 4.4.4 and Android 5.0 (Developer Preview). 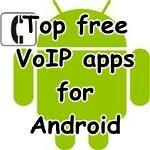 Most for the people is thinking there phone need latest android OS always it is a good thing to have. but think about it Manufacturers like Samsung, Sony and HTC etc. are putting their version of skin over android so you are not going to notice much difference at your usage pattern. What i am trying to say is latest android is not necessary anymore almost all google apps are updated via google play and your manufature skin is not going to change radically. If you like Stock android experience (Almost) you can go with Motorola, Micromax etc. and if you like custom skin of samsung or sony you can go with them also. so what i am trying to say is you should look at the performance of the device that include the display quality battery backup etc. Looking for an Android smartphone below 10000? When we are going to buy a new Android phone, most of the peoples checking about the price list,including me. The price of a smartphone will be according to it’s features and specifications. if you have then thousand in your wallet i highly recommend you to buy Moto G 16GB version after saving few more money. 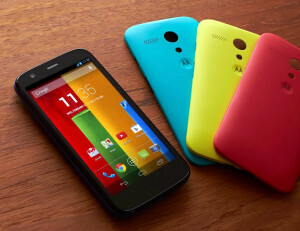 Moto G is the best android phone with a Decent Display + Good Profamce and Battery Backup + Android 4.4.4. No introduction need for Moto G. It is Redefined Budget phone Experience! Befor and after Moto G the budget phone category really changed a lot. 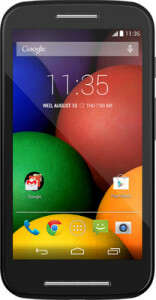 Moto G is is a available for 9999 form Ebay and some other online shops. i highly recommend you to buy Moto G 16GB version after saving few more money. ASUS Zenfone 4 A400cG having a powerful Intel Atom Processor with Hyper-Threading Technology and Android v4.3 (Jelly Bean) it is Upgradable to v4.4 (KitKat) OS and a Good 5 MP Pixel Master Camera with Autofocus and Powerful Corning Gorilla Glass 3 it has a 1 GB RAM and Expandable Storage Capacity of 64 GB. 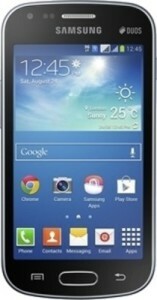 It is a 4-inch Capacitive Touchscreen Device. Motorola puts together a sharp display, the most advanced operating system, a powerful processor and dual SIM support in the form of Moto E, a mobile that is made for all. I still prefer Moto G over this. If you used S Duos 1 you will never choose samsung Low end devices! That was a horrible experience right? But S Duos 2 is not a bad device! it a decent budget device. S Duos 3 is out there but it has only 512Mb ram. I don’t know how it perform. so i recommend S Dous 2 for you. S Duos 2 has a 5 MP Primary Camera 1.2 GHz Dual Core Application Processor, Expandable Storage Capacity of 64 GB, Wi-Fi Enabled, 4-inch TFT Capacitive Touch Screen, 0.3 MP Secondary Camera, Android v4.2 (Jelly Bean) OS, Dual SIM (GSM + GSM). The main advantage of buying a samsung device in india is after sales service and service center availability. So if you got any problem after few months you can find a Authorized samsung service center in your city itself. You can also consider buying indian and China branded phones like Micromax, Karbonn, and Xiomi etc. they are good value for money devices. But the main problem is after sails service. Micromax is the better option for that in India! They have a good service Network. I want to buy a android / windows phone. Good performance when play game. I am looking for Sony / HTC / Samsung / Nokia ONLY. please suggest for the best. My name is sandy, i want to bought a new mobile….. But im very confused which one is good….so any one says which one is gud (windows or android) you will choose windows…. Which mobile is better….choose android which one is better…..